People who Inject Drugs (PWIDs) are highly impacted by the hepatitis C virus (HCV); estimates range from 50-90% HCV prevalence in this population. Recent broadening of Medi-Cal criteria for HCV treatment in California includes PWIDs as a priority population for HCV treatment. However, limited access to specialty care and treatment continues to be a significant barrier for many PWIDs and other vulnerable populations. The San Francisco Health Network’s (SFHN) primary care clinics within the San Francisco Department of Public Health provide care to an urban, largely poor population with public or no insurance. It is estimated that there are at least 2,058 active patients in the SFHN (patients who have been seen at their primary care home in the past two years) who are chronically infected with HCV (estimated at 3.8% of the active, adult SFHN patient population). Patients living with HCV are disproportionately African-American (n=819/40%), relative to 5-6% of African-Americans in San Francisco’s general population. SFHN providers have significant expertise engaging PWIDs across the continuum of primary care, prevention, and drug treatment-related services. Having learned many important lessons about harm reduction and client-centered care during the worst years of the HIV crisis, SFHN supports broad syringe access and low-barrier access to methadone and buprenorphine through primary care and centralized methadone clinics. SFHN also employs skilled clinicians who work to retain PWIDs in primary care with impressive results. With new curative treatments available for hepatitis C, San Francisco’s Health Department has made great strides to expand access to HCV prevention, testing, and treatment interventions. In early 2016, the California Department of Public Health (CDPH) awarded SFDPH a 3-year, $1.37 million award for community and clinic-based HCV testing, linkage, and treatment projects. The CDPH grant provides a nurse at Zuckerberg San Francisco General’s Opiate Treatment Outpatient Program (OTOP) to support an onsite HCV treatment project, a data analyst to track HCV metrics, and a capacity-building program for primary care-based HCV treatment. The primary care initiative achieves dual goals of (1) expanding access to HCV treatment for patients in the SFHN network and (2) improving primary care physician (PCP) capacity to treat HCV. The Health Department’s innovative model for expanding primary care-based HCV treatment includes HCV training for clinicians, the development of a primary care-driven web-based referral system (eReferral), and partnerships between the Health Department and community–based organizations. Since the launch of the Hepatitis C Treatment Initiative on February 1 2016 through May 1 2016, approximately 227 SFHN clinical staff have participated in hour or multi-hour in-person trainings to learn how to treat hepatitis C within primary care. The eReferral, an electronic consultation service where primary care physicians can ask treatment questions (to whom) about individual patients through a secure messaging system, also launched on February 1 2016. A PCP and two clinical pharmacists experienced in Hepatitis C treatment staff the service. During this time period, 43 PCPs have utilized the HCV eReferral service for 123 patients, 50 of whom have started treatment. The majority of patients treated using eReferral consultation have co-occurring past or present substance use disorders, and approximately 34% of patients are African-American. Based on the current average treatment start rates of 25 patients per month, it is projected that approximately 300 patients will be treated in the SFHN Primary Care system in 2017, constituting 14.6% of the SFHN patient population living with HCV. The primary care-driven HCV treatment model is essential to making treatment accessible for PWIDs and other vulnerable populations. May 19, 2017 1:00pm-5:00 pm 2424 Mission St. (btw 20th & 21st St.), San Francisco, CA The San Francisco Hepatitis C Task Force is partnering with Mission Wellness Pharmacy to do outreach, education and free hepatitis C antibody testing on National Hepatitis Testing Day! 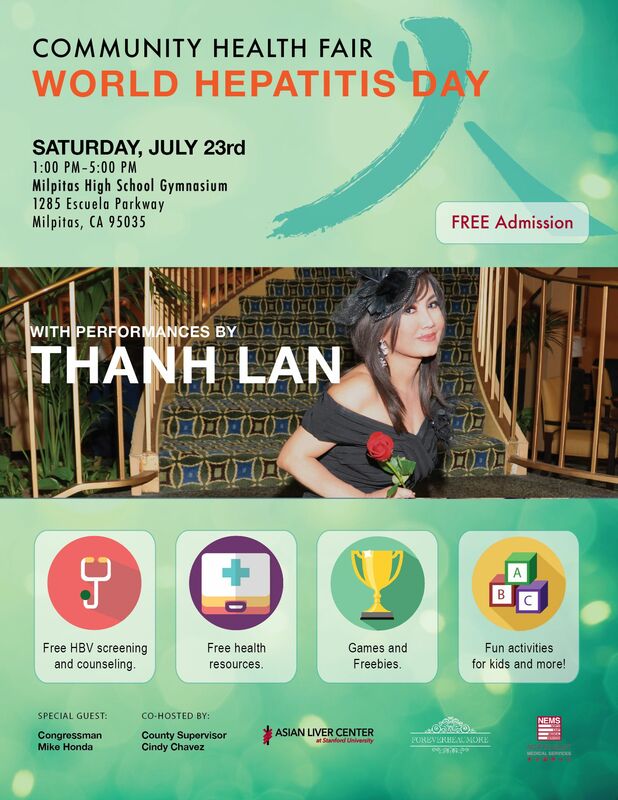 The San Francisco Hepatitis C Task Force is partnering with Mission Wellness Pharmacy to do outreach, education and free hepatitis C antibody testing on National Hepatitis Testing Day! 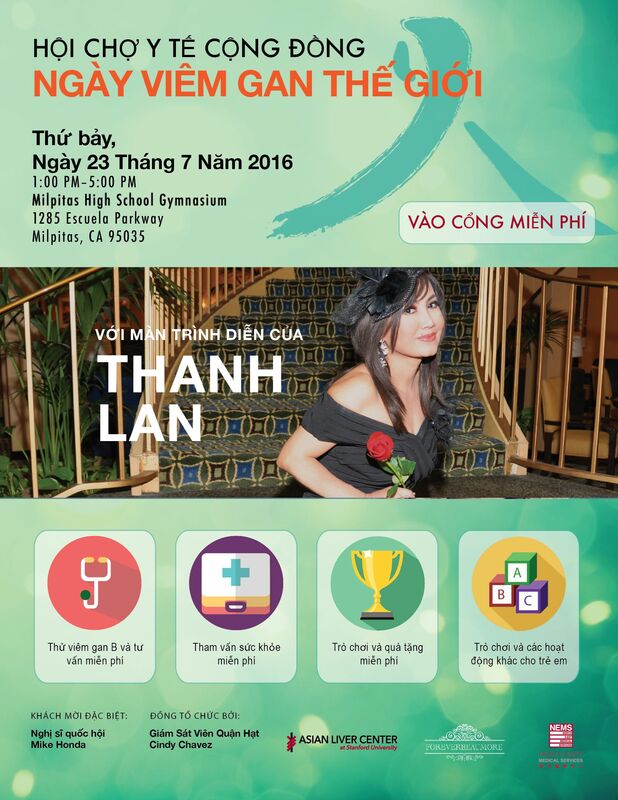 May 19th Hepatitis Testing Day Event in Pasadena! Our friends at Hepatitis Foundation International are hosting a series of online “lunch n’ learn” events for Hepatitis Awareness Month. The lunch n’ learn video series brings awareness about the viral hepatitis pandemic among “Hard to Treat, Hard to Reach” populations. For more information check out the Lunch n’ Learn Flyer. Our friends at Hepatitis Foundation International are hosting a series of online “lunch n’ learn” events for Hepatitis Awareness Month. The lunch n’ learn video series brings awareness about the viral hepatitis pandemic among “Hard to Treat, Hard to Reach” populations. For more information check out the Lunch n’ Learn Flyer. October 19: 2nd Annual Viral Hepatitis Summit, San Francisco. For free registration, use the code VIRALHEPATITIS November 22: 14th Annual Hepatitis C Summit, Los Angeles. Registration is free. November 22: 14th Annual Hepatitis C Summit, Los Angeles. Registration is free. On August 9, 2016, two important events will be held in Sacramento. July 25th is the 4th Annual National African American Hepatitis C Action Day (NAAHCAD). The National Black Leadership Commission on AIDS, Inc. invites organizations to support the day by signing-on to host activities in their city on or leading up to July 25, 2016. July 25th is the 4th Annual National African American Hepatitis C Action Day (NAAHCAD). The National Black Leadership Commission on AIDS, Inc. invites organizations to support the day by signing-on to host activities in their city on or leading up to July 25, 2016. A case study on initiating a baby boomer hepatitis C screening that incorporates a protocol for primary care providers to screen and refer patients for care. Sponsored by the California Academy of Family Physicians, National Viral Hepatitis Roundtable, Project Inform & the California Hepatitis Alliance.